As much as I love SPICY Indian inspired food, sometimes I like more simple, subtle and fresh flavors. 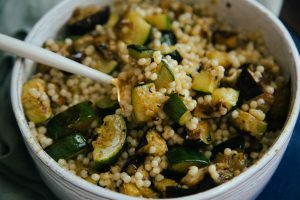 This cous cous is a perfect example of how a little can go a long way when you use the right ingredients. 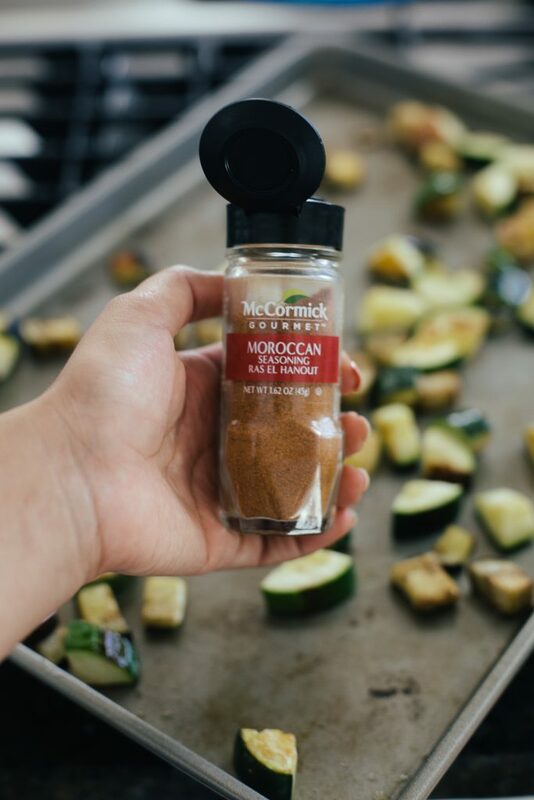 You might have to do some searching to find the moroccan seasoning but I found it at my local grocery store or you can order it online here. This seasoning, also called “Ras el Hanout” has flavors of cinnamon, coriander and cumin! Its been my favorite way to season roasted veggies lately, especially sweet potatoes! 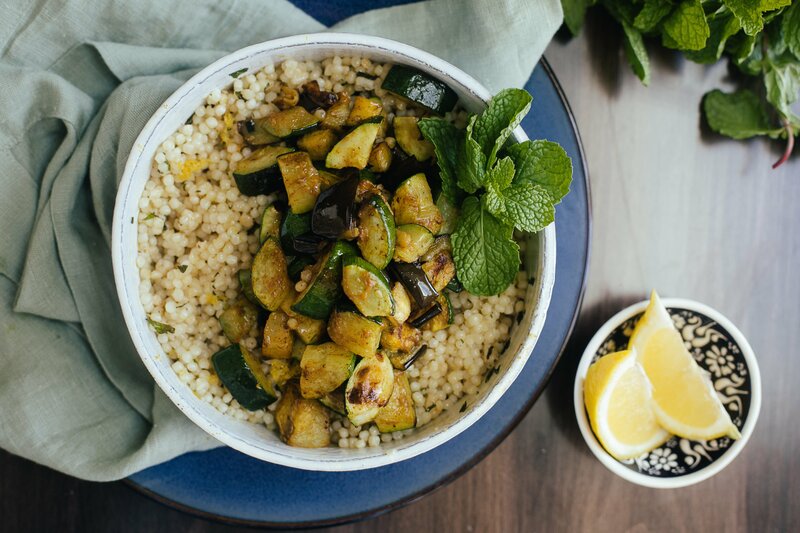 Other than that, this cous cous comes alive with some delicious extra virgin olive oil, lemon zest, and garlic for just a tiny little kick. Parsley & mint add such a BRIGHT and herby deliciousness to this as well. Cook 1 cup cous cous according to package directions, until fluffy.Remove from heat & transfer into large serving bowl and let cool. Preheat oven to 400 degrees. 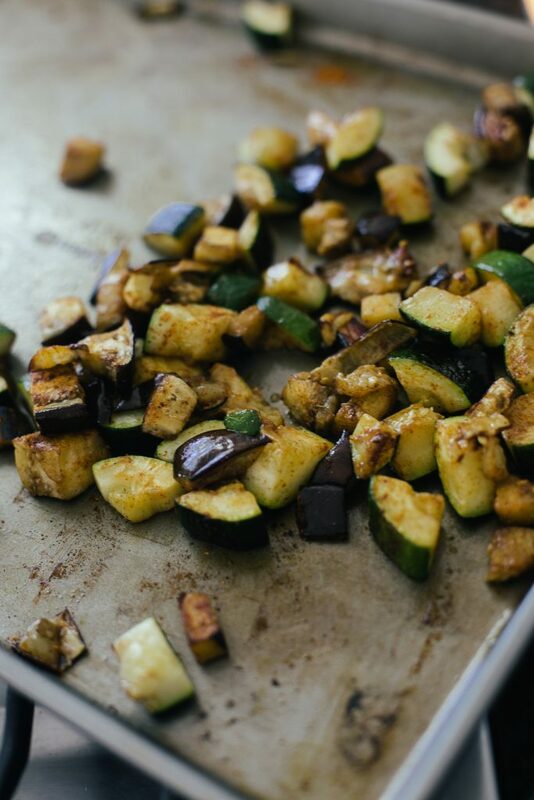 Spread a large baking sheet with the zucchini and eggplant tossed in 1-2 tbsp olive oil, salt & pepper. Roast for about 20 minutes, turning once in between or until vegetables are golden brown on both sides. Remove from oven and immediately toss with 1 tsp garlic powder and 1 tsp moroccan seasoning. 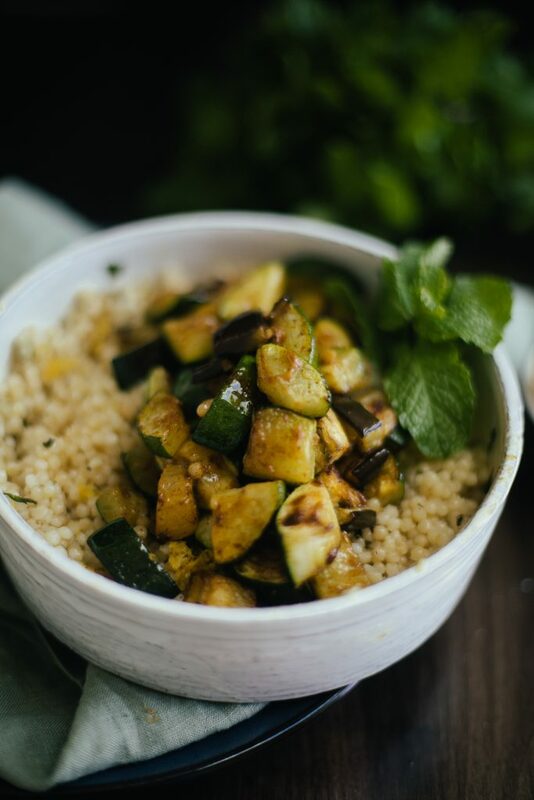 To the cous cous, add 1 tbsp extra virgin olive oil, lemon juice, lemon zest, garlic, mint, parsley, remaining 1 tsp moroccan seasoning, and salt. Toss well and taste. It should have a bright lemon flavor and hints of the herbs- so add more of any ingredient to your liking. 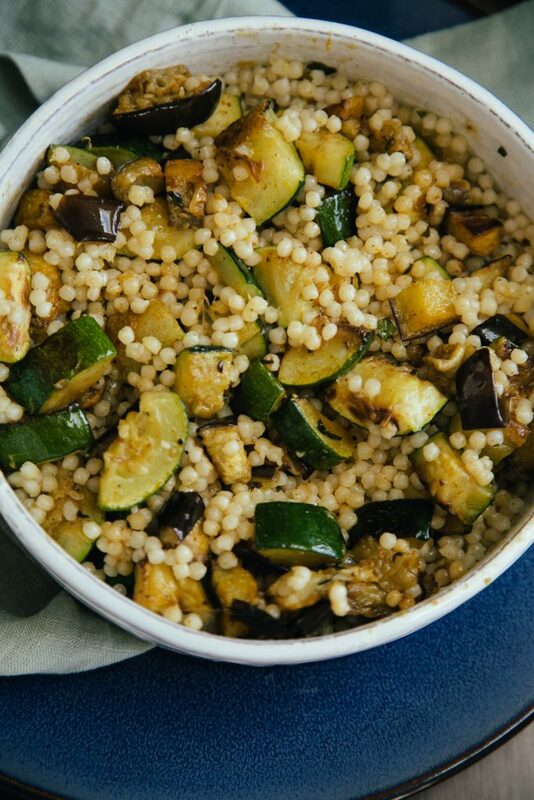 Add the roasted vegetables to the cous cous and gently combine. Enjoy as a warm or cold salad, or side dish! Hi what is loom juice please? Hi !! OOps- looks like that was a typo- its Lemon juice! 🙂 Will update the recipe!